As experts in global trade management and compliance, the MIQ Logistics team of experts is often asked to share their knowledge and participate in trade shows, educational events, news stories, and training. 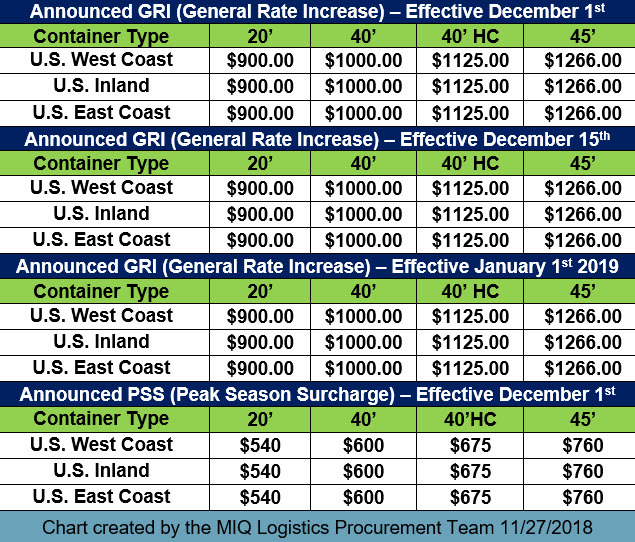 A recent Tchotchke Talk Podcast hosted by Redemption Plus, Tariffs … How Policy Changes will Impact your FEC, featured Kevin Ekstrand, MIQLogistics’ Sr. Director Business Development and Trade Compliance. Read more. On November 08, 2018, a second BNSF train derailed on the San Bernardino subdivision between Prado Dam and Esperanza, CA, impacting BNSF main line tracks. The first main track was opened on November 08, 2018, at 7:20 a.m. CST, and the second main track was opened on November 08, 2018, at 12:30 p.m. CST. Read more. 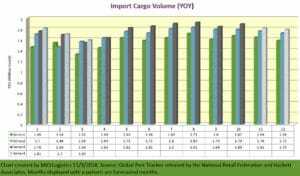 Imports at the nation’s major retail container ports have slowed down from their pre-holiday peak but remain at unusually high levels as retailers continue bringing in merchandise before tariffs increase in January, according to the monthly Global Port Tracker report released today by the National Retail Federation and Hackett Associates. Read more. 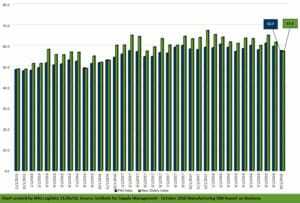 Economic activity in the manufacturing sector expanded in October, and the overall economy grew for the 114th consecutive month, say the nation’s supply executives in the latest Manufacturing ISM® Report On Business®. Read more. 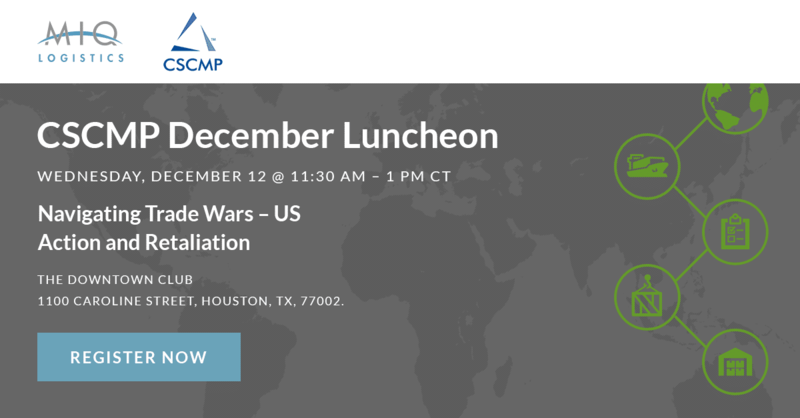 Join us on December 12 from 11:30 – 1:00 PM CT at The Downtown Club in Houston, TX for an informative luncheon about trade wars. In this session, we will attempt to untangle and clarify the various trade actions that the USA has recently taken. We will discuss the effects on trade and transportation and what you can do to address the impact on your business.